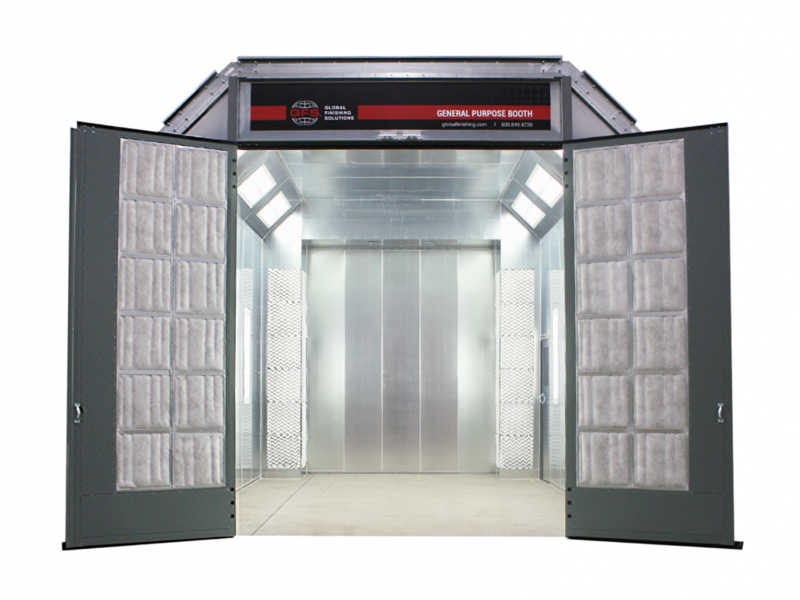 GFS’ General Purpose Paint Booths are high-quality, cost-effective solutions for industrial manufacturers and businesses that need to paint equipment, utility vehicles and trucks. 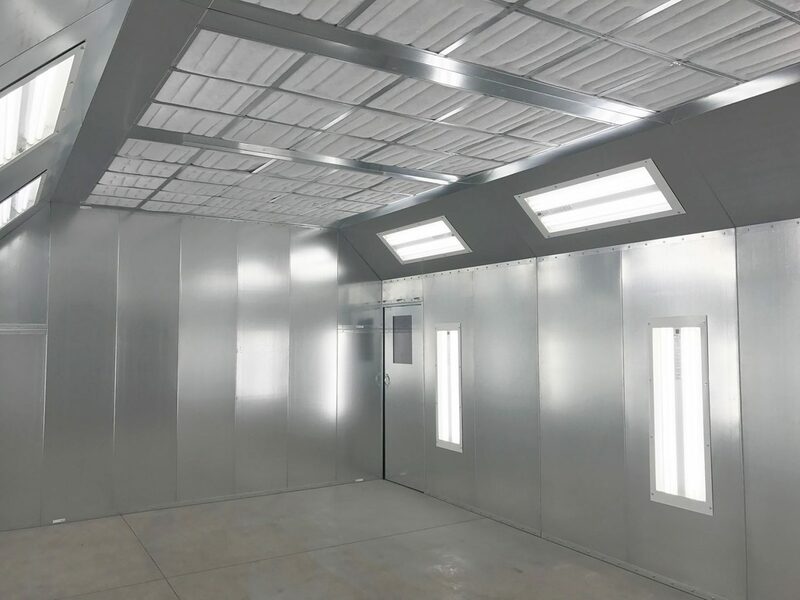 Designed to suit products that are too large for traditional automotive booths and too small for our Large Equipment Paint Booth line, complete your projects more efficiently and enjoy a better overall paint finish in a bright, clean, ecologically friendly and economic paint environment. 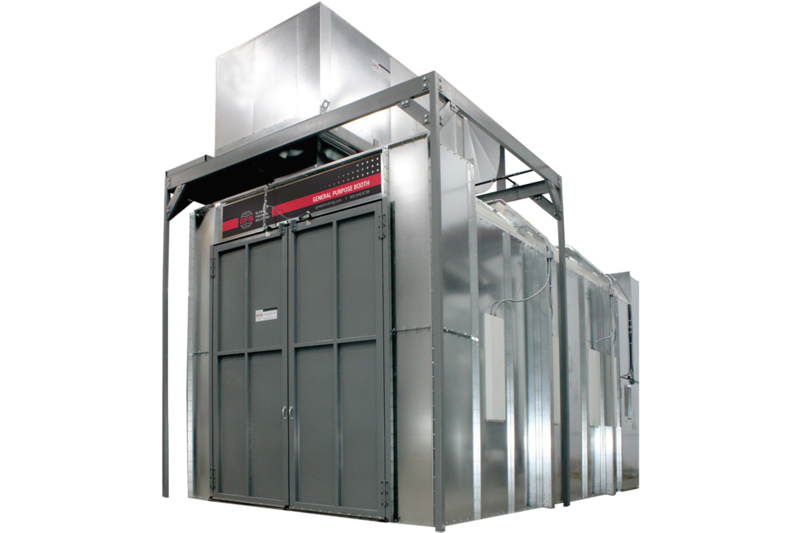 Built with heavy-duty materials and sturdy nut-and-bolt construction, GFS General Purpose Paint Booths are built to last many years of use. 14 ft. x 10 ft. x 24 ft. 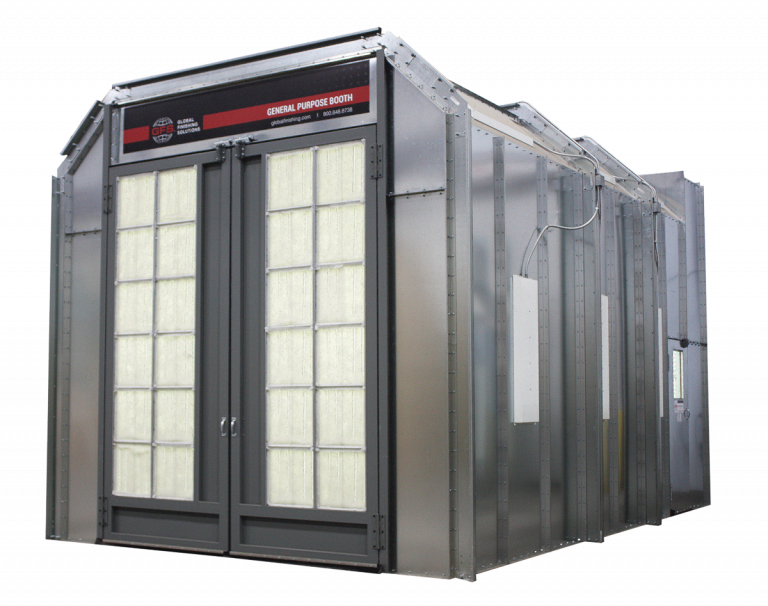 Upon completing third-party independent review, GFS pre-engineered General Purpose Paint Booth models and standard booth options have achieved full ETL and ETL-C listing. 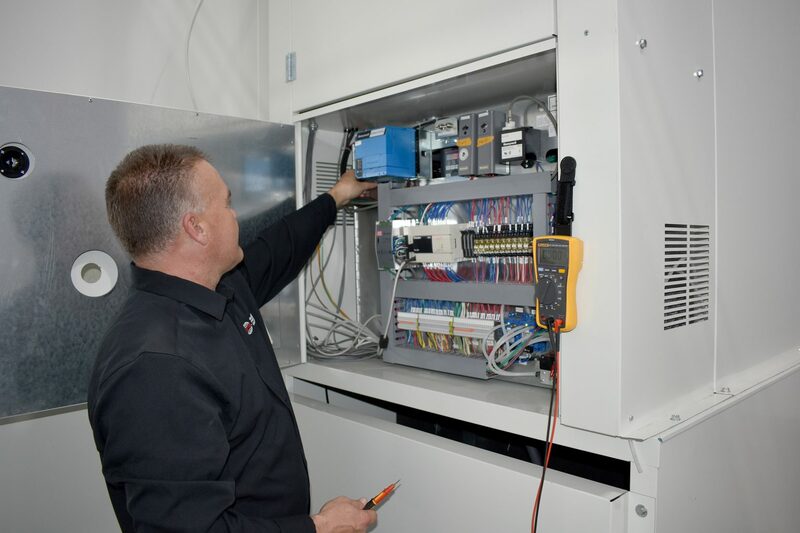 The ETL or ETL-C mark on your booth validates performance, proves compliance with North American safety standards and ensures worry-free planning and installation. General Purpose Booths feature premium angled ceiling light fixtures for precise, complete lighting with minimal shadows. Typically used in automotive booths, hip lighting illuminates all sides of a vehicle or piece of equipment to allow for excellent color matching. Light fixtures are ETL/ETL-C listed and come complete with T8 ballasts and color-corrected tubes. From start to finish, GFS precision engineers each General Purpose Booth with the customer in mind. Businesses can count on GFS’ unmatched Technical Services department, project management team and extensive distribution network for lifelong service and support of your GFS paint booths. Let us know your product requirements, and we’ll put you in touch with a distributor in your area. Prices do not include applicable taxes, installation or freight (except where specified). Offer cannot be used for orders already in-house with GFS. No substitutions. 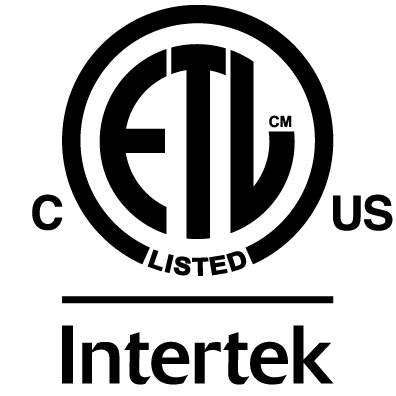 Offers cannot be combined with any other offer, promotion or discount. Delivery must be taken by September 28, 2018. GFS holds the right to change pricing at any time.